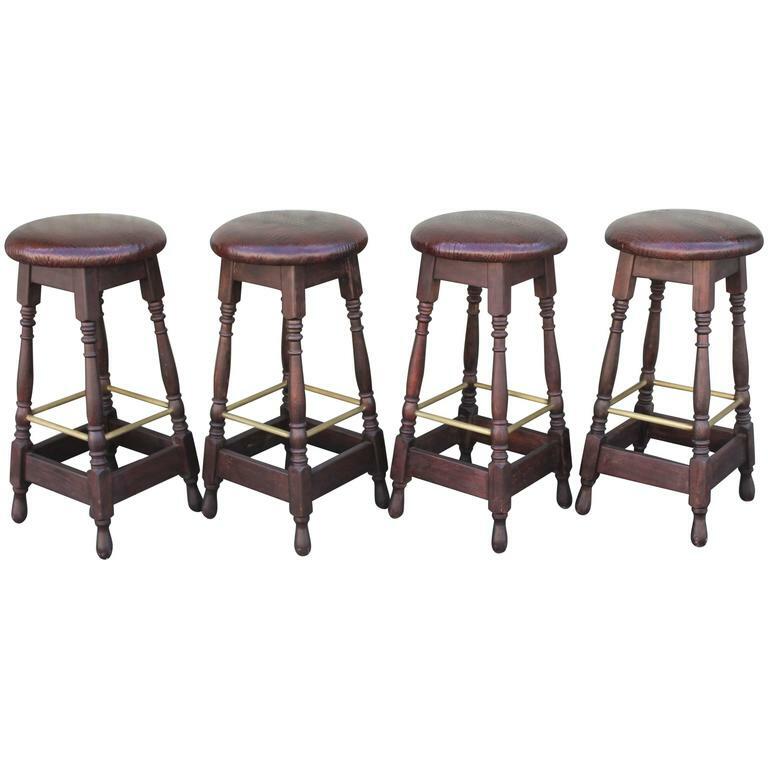 This set of four matching bar stools are in leather top seats and a turned leg base. The foot rests are in brass and are surround on all four sides. The newly done seats are in a reptile embossed texture. Fantastic condition and very comfortable. 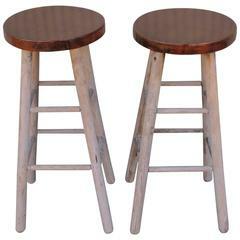 These amazing pub stools came out of a early tavern in Philadelphia, Pennsylvania. Solid steel adjustable height stool. Rotating seat raises and lowers the height from 18" to 27.5". 1930s. 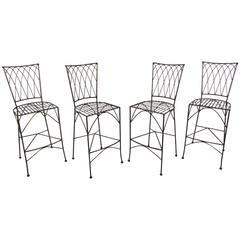 Four vintage-modern stools with sturdy sculpted iron construction, comes with removable tufted seat cushions. Please confirm item location NY or NJ with dealer. 29 inch seat height. 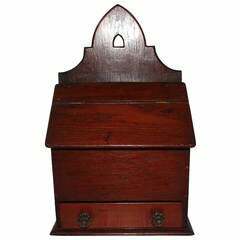 Beech bentwood or plywood designed circa 1905 by Michael Thonet. Restored condition. 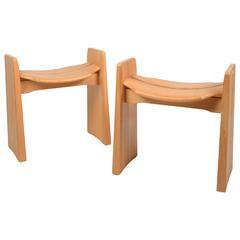 A pair of stools in beech, made in Sweden, mid-1900s.